In a celebration of style and lightweight performance, and helping mark the 50th anniversary of the company’s famous Hethel site, Lotus has revealed the latest addition to its collection: the exclusive Elise 250 Special Edition. Based on the critically acclaimed Elise Cup 250 launched earlier this year, but featuring a raft of exclusive components as standard, the new Lotus Elise 250 Special Edition offers an outstanding combination of performance and panache. With a supercharged 243 hp engine, a 0-60mph time of 3.9 seconds, and a unique, hand-finished interior, it perfectly defines the quintessential British sportscar in this celebration year. As an antidote to sterilised and staid modern cars, Lotus’ approach continues to deliver the purest, undiluted driving experience. Tipping the scales at just 899 kg, through the utilisation of advanced materials including carbon fibre and aluminium, the Elise 250 Special Edition remains true to the company’s philosophy of ‘Light is Right’ and is capable of humbling far more common, yet expensive, rivals. 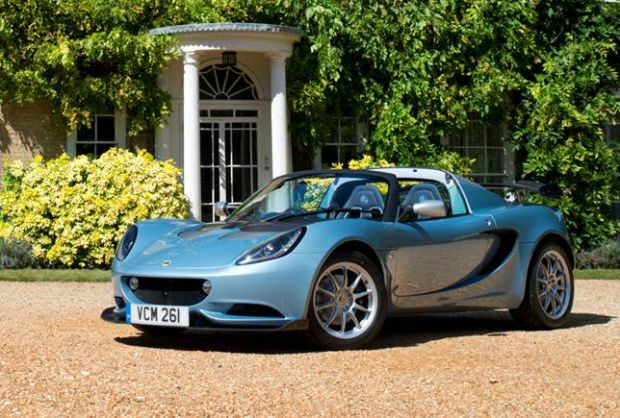 Powered by a high-output, supercharged, 1.8-litre 4-cylinder engine, the Elise 250 Special Edition boasts 243 hp (246 PS) at 7200 rpm and 250 Nm of torque between 3500 rpm and 5500 rpm. This, along with the car’s 899kg kerb weight, contributes to the impressive 270 hp/tonne headline figure. However, far from being solely performance orientated, the Elise 250 Special Edition is designed to appeal aesthetically as well as dynamically. A selection of beautifully finished carbon-fibre components come as standard, including a front splitter, rear wing, tailgate and front access panel, all giving the car considerable kerb appeal. Drawing inspiration from some of the company’s most alluring models, the new Elise is the perfect blend of both style and substance. As befitting a hand-built sports car from one of the world’s most famous marques, it’s beautifully detailed and conceived as a tribute to one of countless Lotus fans’ favourite cars. The Lotus Elan, launched in 1963, established itself as one of the icons of 60’s motoring and even became a star of screen in hit TV shows of the time, including the classic series The Avengers. Draped in a composite body and finished in one of four of the firm’s favourite colours, the Elise 250 Special Edition is limited to just 50 examples. With a high specification as standard, it combines traditional British craftsmanship with the best of contemporary design. From the hand-made carbon components, to the hand-finished leather seats, it sets the benchmark for exclusive sports cars. The Elise 250 Special Edition is available in choice of four colours, each a long-standing favourite over the last 50 years. Classic metallic blue, red, yellow and white finishes are all complemented by ultralight forged wheels in silver, or black as an option. An optional carbon fibre hardtop roof panel is also available. The same attention to detail continues inside, with the carbon-fibre sports seats finished in either dark blue or dark grey leather, and stitched with a choice of contrasting colours. The car’s door trim is afforded the same hand-stitched finish. Despite its sophistication, the Elise 250 Special Edition is just at home on the track as it is on Bond Street. The new car laps the company’s Hethel test circuit in 1 minute 34 seconds, the fastest recorded time for a production road-going Elise. The car carries over the same suspension and braking components from the Elise Cup 250, including Bilstein sports dampers and Eibach coaxial coil springs and double wishbone suspension. AP Racing twin-piston front calipers, and Brembo single-piston rear calipers work in conjunction with the track-tuned ABS system. Fitted with a slick, six-speed manual gearbox, the Elise 250 Special Edition includes an Electronic Differential Lock as standard to give better traction and faster exit speeds when cornering. The new Elise also features driver selectable ESP modes, providing ‘Sport’ and ‘Race’ settings. Proportionally increasing throttle response, lowering traction slip thresholds and removing understeer recognition, it allows enhanced control before the system intervenes. An integrated in-car entertainment system can also be specified, including iPod® connectivity and Bluetooth® functionality, along with air conditioning, cruise control, auxiliary driving lights, full carpets, floor mats and enhanced sound insulation.